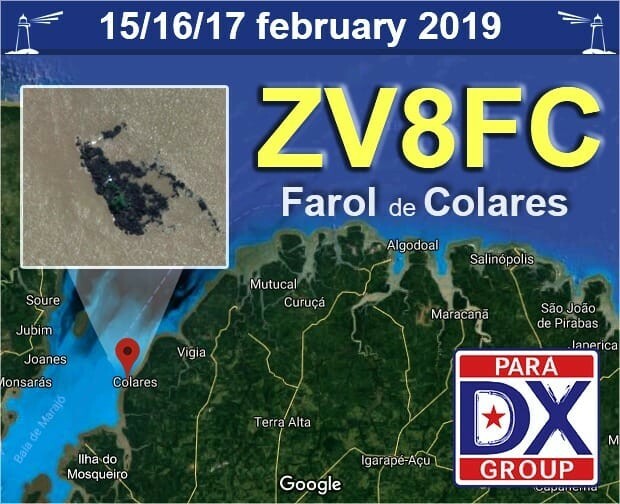 Radio Amateurs members of Para DX Group will be active as ZV8FC from Ilha de Colares, (Not IOTA), during 11th South American Lighthouses weekend, 15 - 17 February 2019. They will operate on 80 - 10m, CW, SSB, Digital modes. Para Dx Group, P.O. BOX 280, BELEM-PARA, PA, 66017970, Brazil.